At either end of the rainbow there is light we can't see. Below the red end is near infrared light, shorter in wavelength than the infrared we feel as heat. Above the violet end of the rainbow is near ultraviolet, longer in wavelength than the ultraviolet light that causes sunburn. Because these invisible lights are so close to the visible light we can see, they act in many ways just like normal light. 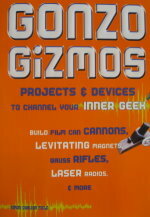 They can be focused with lenses, and cameras can see them. 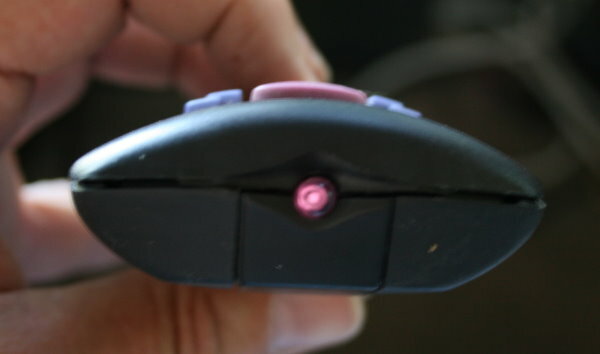 A source of near infrared light is as close as your television remote control. Look directly into the front of the remote control and push some buttons. You can't see anything change. But now point the remote at an inexpensive digital camera or video camera and push the buttons. Now, in the camera's screen, you see a brightly flashing beacon of light. You can use it as a flashlight to read by, as long as you look in the camera screen. Digital camera sensors can easily see in the infrared. In fact, they are more sensitive to infrared than they are to normal light. Camera manufacturers try to fix this by adding infrared blocking filters in front of the sensor. In cheap cameras, these are not very effective. In more expensive cameras, such as the digital single-lens reflex camera used to take the shot below, the infrared light is much dimmer than in the pocket camera shots above. 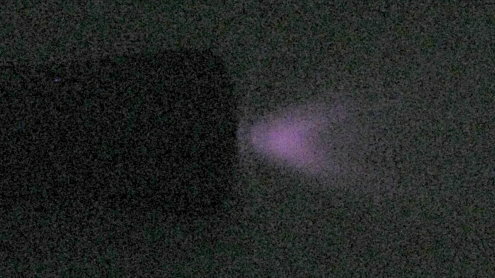 Cheap ultraviolet light sources use a mercury vapor lamp and some dark purple glass that blocks most of the visible light from shining through. Unfortunately, rather a lot of blue and violet light gets through. 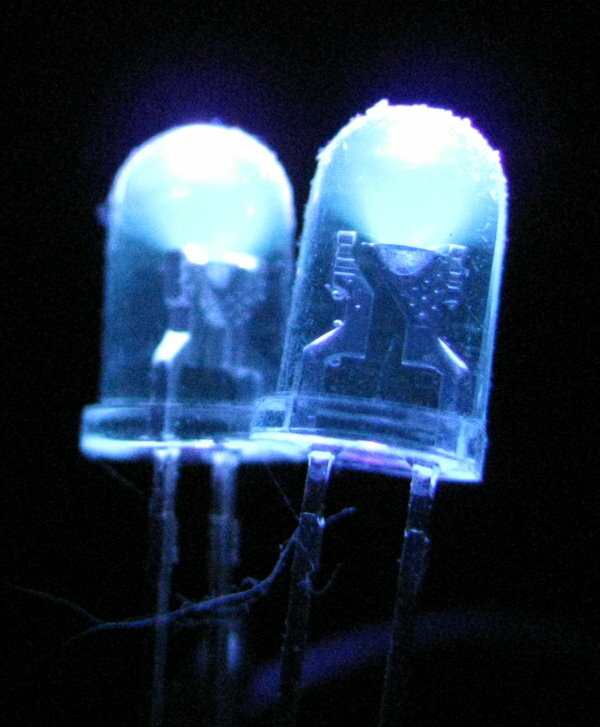 A better source is an ultraviolet light emitting diode. 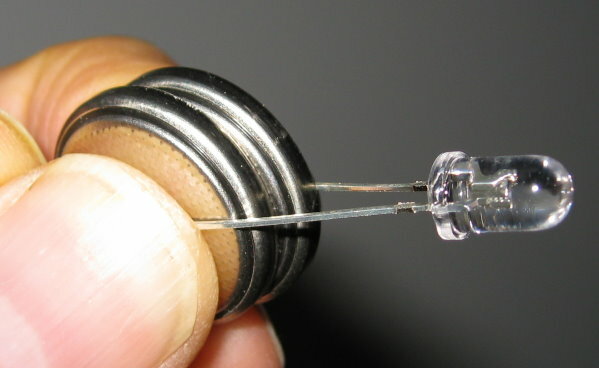 While some of the cheap LEDs called "ultraviolet" are actually really just purple LEDs, you can obtain good LEDs whose wavelength is 395 nanometers or below. At the time of this writing, 395 nm LEDs can be had for a few dollars, while a 375 nm LED penlight goes for $25, and a 255 nm LED will set you back $600.00. It is not advisable to look into an ultraviolet LED, any more than it is to look at the sun. 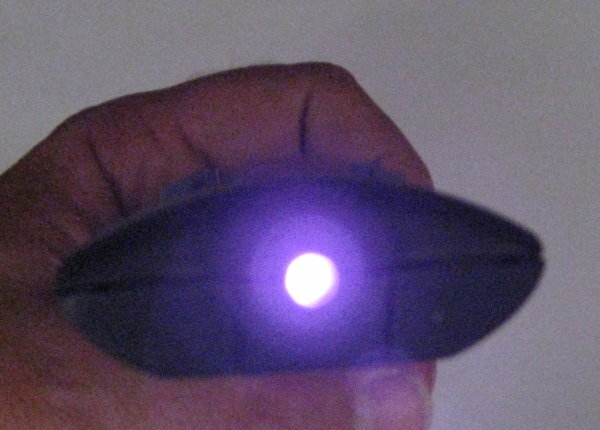 But a quick glance shows that a 395 nm LED looks dimly blue-violet to the human eye. But when we look at it through the camera, we can see that the camera sensor is again rather good at seeing this otherwise mostly invisible light. The light looks blue-white to the camera because the camera and its software interpret ultraviolet as blue, and this light is very bright in the ultraviolet. Bees can see in the ultraviolet. Flowers take advantage of this, and have ultraviolet pigments that bees can see but humans cannot. But when we take such a flower, in this case a California Poppy, and illuminate it with our 395 nanometer ultraviolet LED, and take a picture, we can see some of these markings. In the photo below, I took the picture on the left in normal light, and the picture on the right using the UV LED. You can see that the edges of the flower are lighter in color, and the center is darker, except for the stamens, which are very bright. Invisible ink has many uses beyond secret communications between spies or criminals. One such use is as an anti-counterfeiting measure in money, as seen by the photo below, where a U.S. twenty dollar bill is lit from behind by one of our ultraviolet LEDs. 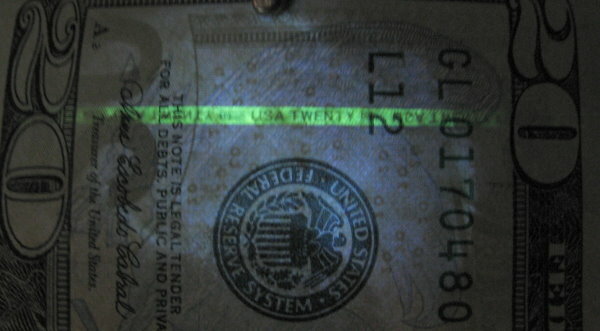 In the bright green band of fluorescent ink, you can read the words "USA TWENTY". Invisible ink (either in a vial or in an invisible ink pen). A source of ultraviolet light, such as a UV light emitting diode. (Optional) Blue-blocking sunglasses (yellow goggles). A kit with an ultraviolet LED, battery, invisible ink pen, and bottles of ultraviolet dye is available in our catalog . The invisible ink pen is sold as a security marker, so you can invisibly write your name or driver's license on your belongings. The fluorescent dyes can be used as ink in a fountain pen or a quill pen, or you can just dip a cotton swab into the dye and write with that. They can also be poured into ink pads and used as hand stamps at dances or events, to permit re-entry without paying again. To see the ink, put a small button cell lithium battery between the two leads of the ultraviolet LED. If it doesn't light up, turn the battery over (LEDs are diodes, and only light up if the current is flowing in the right direction). You can use two batteries to get a brighter light. Just stack the batteries one on top of the other, and place the LED wires on the top and bottom as if it were one battery. Aim the light at the invisible writing. You may want to do this in a dark place for better readability. The blue-blocking sunglasses are useful for enhancing the contrast. They block most of the blue and violet light that leaks through the purple glass filters of mercury vapor lamp ultraviolet lights. They are still useful with the ultraviolet LEDs, even though those emit much less visible light. 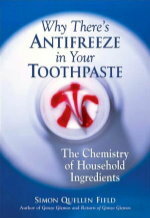 You can make your own fluorescent dye easily, after a trip to the kitchen for some powdered turmeric spice, and the bathroom for some rubbing alcohol. Put a teaspoon of turmeric into a glass, and add a few tablespoons of alcohol. Fold a paper towel into quarters to make a funnel, and filter the liquid into another glass. 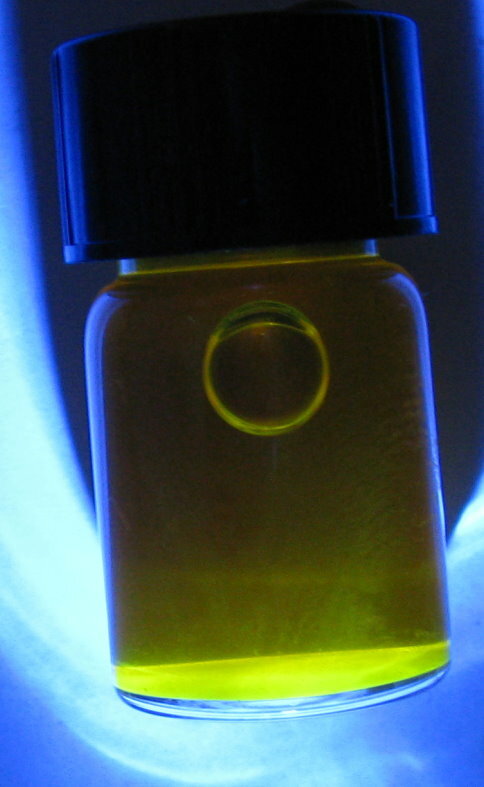 The photo below shows the liquid in a tiny glass vial, lit by our UV LEDs. You can use a cotton swab to write things with your new ink. 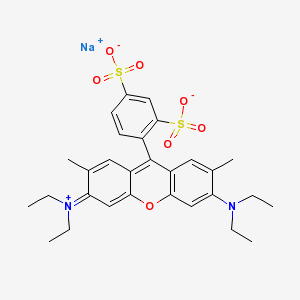 It will appear yellow on the paper, and bright yellow-green when lit with ultraviolet light. 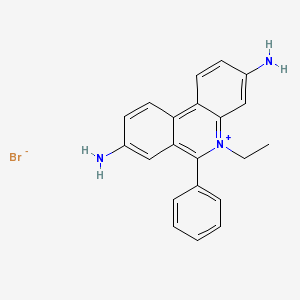 A typical fluorescent dye (several are shown below) has many conjugated bonds, where double bonds and single bonds alternate in the molecule. 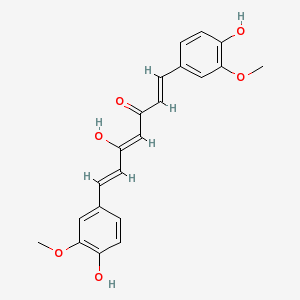 What is actually going on in the molecule is more complicated than the simple diagrams suggest, because the electrons that form those bonds aren't pinned down in one place, but tend to wander or smear out along the whole molecule. The electrons have many possible energy states. The lowest energy state (the ground state) is one where the electrons are closest to the nucleus of the atom, and are paired up, with each electron in the pair spinning in the opposite direction. We say that one electron is spin up, and the other is spin down. At room temperature, the electrons have enough heat energy to bounce around and bump one another between energy levels at random. But most of the electrons will be in the lower energy levels at any given time. 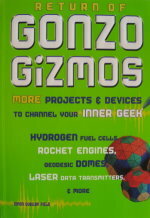 The electrons in the molecule have energy levels of different types. The basic energy levels are the electronic states (the ground state, the excited ground states, and the exited triplet state). But layered on top of these are vibrational and rotational energy states. These extra vibrational states allow the electron to absorb photons of different energies that raise the energy of the electron to different levels. Since the energy of a photon is related to its wavelength (the color of the light), many slightly different colors of light can be absorbed by the electron to push it into higher energy states. Once an electron has absorbed a photon and has jumped into a higher energy state, it can lose some of the energy easily by releasing the vibrational energy as heat. The electron then settles into the lowest vibrational energy level at that excited electonic state. The three electronic states are diagrammed below. In the ground state, electrons are paired, one with spin up, and one with spin down. In the excited state, one of the electrons has a higher energy, but still has the opposite spin. In the third (triplet) state, one of the electrons has flipped its spin, so both electrons have the same spin. All of these energy levels and states come together in what is called the Jablonski diagram, which is used to show what is happening during fluorescence. The diagram shows an electron in the ground state absorbing a photon and rising to the second excited singlet state (S2). 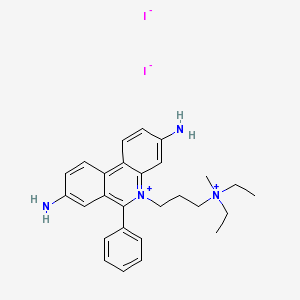 This transition is shown in purple. Because the photon had more energy than was necessary to achieve the second electronic excited state, the electron is sitting at one of the vibrational energy levels in that electronic state. As time goes by, the electron loses energy as heat and settles into the bottom vibrational level of the second excited singlet state. It can lose more energy as heat and move down to the bottom of the excited singlet state 1, either in one step or in many small steps, stopping at various vibrational energy levels. These energy drops are shown in red in the diagram. It is possible for the electron to lose energy further, either by emitting a photon of light, or by what are called non-radiative means, where the energy ends up as heat. 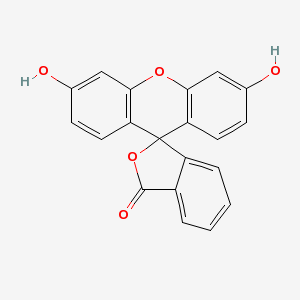 When a photon is emitted, we say the molecule has fluoresced. This is shown in yellow in the diagram. Sometimes the electron will lose energy by flipping its spin, and jump to the excited triplet state. It can then jump back and fluoresce like before, in which case it is called delayed fluorescence. Or it can flip again, and jump to one of the vibrational energy levels just above the singlet ground state. We call this phosphorescence. Flipping electron spins is statistically unfavorable, and this causes a delay in releasing the energy as a photon. Phosphorescent materials glow for a while after the exiting light is removed (glow in the dark paints are phosphorescent). Adding heat energy makes it more likely that electrons will shake loose from their current states and fall down into lower states. Heating a glow in the dark toy will make it appear brighter, but the glow will fade way faster.